Combine your necklace with pendants to create a unique style. A leather or steel necklace also looks great without any pendant. It doesn't matter if you are looking for a gold or silver necklace. 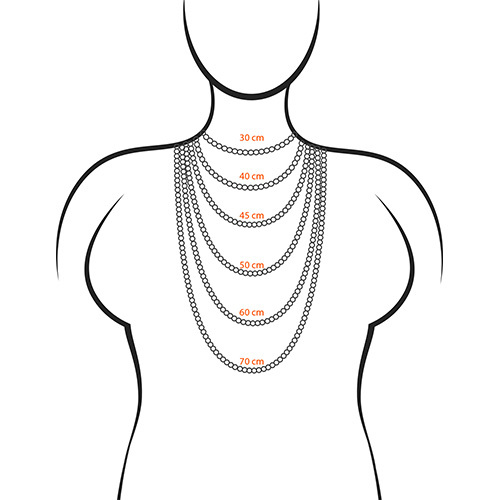 When buying necklaces online, selecting the right length may be a bit difficult. Terms as 'choker' or 'matinee' may not ring any bells. Below you will find an image that can help finding the right necklace lenght.